Willowood Lactofen 2EC is a broadspectrum pre and postemergence herbicide used for the control of over 50 troublesome broadleaf weeds including pigweed, Palmer amaranth, annual nightshade, ragweed and cocklebur in a number or registered crops. 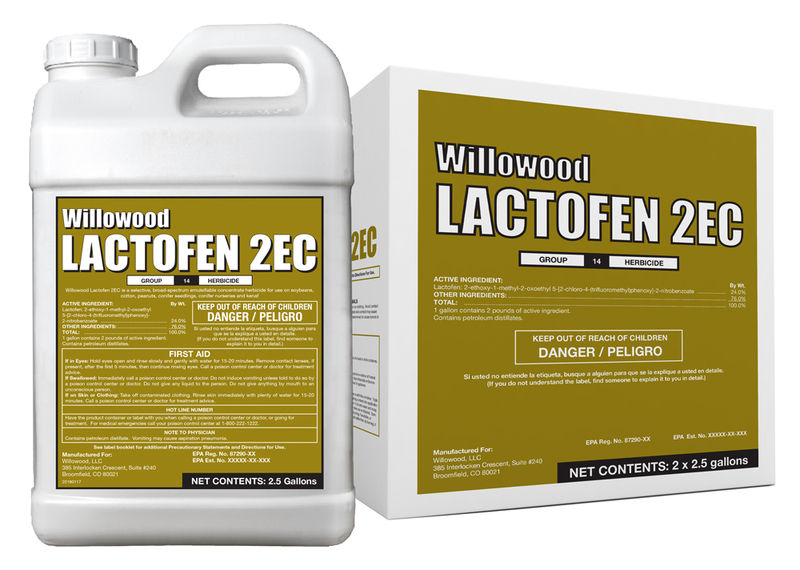 For specific use instructions refer to Willowood Lactofen 2EC product label. 1 gallon contains 2 pounds of active ingredient. 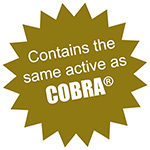 COBRA® is a registered trademark of Valent.